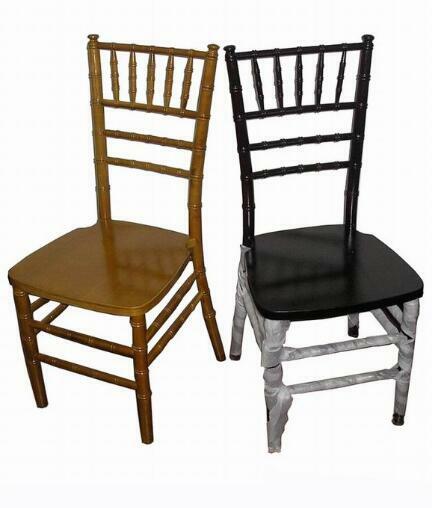 Aluminum Tiffany chair is the most cost effective chair among other materials. With the good look of shining metal, the whole wedding will be brighter. The fine finish of these beautiful chairs surely impressed all the guest of the party. The aluminum tiffany chair is lighter than you expected, meanwhile, since these tiffany chairs are also stackable and space-saving, you can save a lot money on transportation. no matter indoor or outdoor, I am sure have a party with that chair is very joyful. Swii Furniture Tiffany chair has metal 7~8 support brackets for leg connections, not just 4 or 3 like the others. Each bottom of the legs has well placed plastic plugins to escape scratching or other damage to the floor. 5 years warranty on frame under normal using !